Schmidt Marine Technology Partners is a program of the Schmidt Family Foundation. We support the development of technologies that solve ocean problems, and, in most cases, have strong commercialization potential. We do that by providing scaled funding for development work, and related business support in areas such as legal, accounting, and communications. Our goal is to tailor assistance to the needs of each group to help them move their ideas across the dreaded "Valley of Death" and be ready for a sustainable level of paying contracts, licensing, or more traditional investments. We are happy to support academic researchers interested in spinning out a company, a start-up working out of a garage, or anyone else working on an innovative idea with the potential for significant impact. If you are working on an idea that could fit our model, please tell us about it using our proposals portal. As a starting point, we just need some basic information and a very short description. If your project falls within our purview, we will contact you for more details. We review applications on a rolling basis, so there are no deadlines. You'll find answers to questions about our funding here. Mark is Schmidt Marine's Program Director, applying skills developed as both a scientist and writer to the identification and evaluation of promising marine technologies. He began his career studying deep-ocean carbon cycling at The College of William and Mary's Virginia Institute of Marine Science, after receiving a B.S. in biology from Wake Forest University, and an M.S. in chemical oceanography from Florida State University. In 1999, after completing the Science Communications program at UC Santa Cruz, he converted to ocean-focused journalism and communications. Mark’s articles and photos, have appeared in Nature, Scientific American, Popular Science, The New York Times, and numerous other publications. Through his company, Open Water Media, Inc., he consulted for clients such as the Scripps Research Institute, Sea Grant, The Living Oceans Foundation, the Harbor Branch Oceanographic Institution, and Yale University. Wearing various hats, he has worked on over a dozen research vessels on expeditions around the world and is a fellow of the Explorers Club..
Michael works as a program analyst for Schmidt Marine, analyzing new ocean technology solutions to see whether they are economically viable and environmentally beneficial. He attended University of California, Berkeley and received a B.A. in integrative biology. Michael previously worked as a financial systems analyst at the Schmidt Ocean Institute, a sister non-profit entity of Schmidt Marine. Michael is particularly interested the prevention of plastic pollution as well as the development of inexpensive sensors for research. Jake works as a program manager for Schmidt Marine, helping to research and analyze economically viable solutions to complex ocean health problems. A San Francisco native, Jake graduated from University of California, Davis with a B.A. in international relations with a global environment emphasis, and a minor in English. As an undergraduate, Jake interned at then-Speaker of the House Nancy Pelosi's Capitol Hill office, covering environmental issues. He has a background working at in the intersection between economics and sustainability, and is passionate about preventing bycatch and restoring coral reefs. Erika is an oceanographer, explorer and evangelist of technology for a healthier ocean, with a a Ph.D. in oceanography from Johns Hopkins University. She works as a consultant with Schmidt Marine. Her past research has involved work with submersibles and unmanned vehicles with a focus on the development of novel, nondestructive methods for studying extreme and remote marine environments. Erika has led cruises to study bioluminescent life forms, and marine debris, and to test underwater technologies for use at the surface and down to the deepest parts of the ocean, including work on the land and submersible teams for James Cameron’s DEEPSEA CHALLENGE expedition. She aims to bridge the gaps between diversified stakeholders to create more sustainable technologies, and works on outreach efforts that leverages the technology driven culture of today to empower the next generation. Don is President and CEO of Challenger Biosciences, an R&D services company founded by Don in 2009 to help clients build enduring new ventures that benefit the sea. Originally a marine biologist and faculty member at the Duke University Marine Laboratory, Don shifted his professional focus more than two decades ago to concentrate on the advancement of scientifically-based innovations. Over the course of his career, he has worked with hundreds of new products and emerging companies, including several that eventually went public and attained market capitalizations exceeding $1 billion. Don is a Phi Beta Kappa graduate of the Department of Earth and Planetary Sciences at Johns Hopkins University and holds a doctorate in Ecology and Evolution from Stony Brook University. He is currently working as a consultant with Schmidt Marine providing business development support to program grantees and others working to advance promising marine technologies. Below is a selection of the technology projects Schmidt Marine supports, organized according to our four focus areas. GreenWave's vertical farming system grows a mix of seaweeds and shellfish that require zero inputs, generating sustainable seafood while sequestering carbon and regenerating marine ecosystems. New Haven, CT.
Dr. David Vaughan and a team of Mote Marine Laboratory scientists are using micro-fragmentation to rapidly accelerate coral growth for restoration purposes. These corals are also being tested to understand which genetics strains are resilient to future ocean conditions. The Mote team hosts workshops to disseminate these techniques to other scientists and community groups. Sarasota, FL. ORCA, the Ocean Research and Conservation Association, is experimenting with a low-cost pollution sensor that can help identify coastal waters most in need of study with the group’s more elaborate Kilroy sensor packages. Their overall goal is to apply these technologies to the identification of key pollution sources. Fort Pierce, FL. Conservation X Labs is working on a handheld DNA Barcoder that will allow field identification of fish or other samples within a few hours. The technology leverages genetic species indicators identified through the Barcode of Life program to increase transparency, especially in the realm of illegal fishing and seafood mislabeling. Washington, D.C.
Conservify is developing a low-cost hydrophone to monitor illegal fishing activity. These unties will be deployed in conjunction with a machine-learning application that characterizes acoustic signatures, then can record, transmit, or notify authorities based on the type of activity detected. Los Angeles, CA. Pelagic Data Systems produces a solar-powered, low-cost monitoring system for small fishing vessels that combats illegal fishing by tracking activity, while also providing direct benefits to fishers such as enabling them to certify catches as sustainable. They are also building an associated fishing gear tracking tag aimed at preventing trap and net losses that cause major environmental damage. San Francisco, CA. SafetyNet Technologies is building sophisticated LED systems that exploit the natural attraction of different fish to specific colors of light. They will use the systems in various configurations to reduce fishing by-catch by either attracting specific species, or creating attractive escape paths for non-target species or animals that are too small. London, England. Sea Ranger Service trains unemployed youth for jobs monitoring marine protected areas. They are developing technology to harness FM radio signals to track and prevent illegal fishing. Rotterdam, Netherlands. Barbara Block, of Stanford University, and her team are developing FAST, the Fin Alert Shark Tag, to prevent and deter illegal fishing. The tag sends an immediate alert via satellite and reports its precise location when the animal to which it is attached is caught, allowing for real-time enforcement of fishing regulations. Pacific Grove, CA. 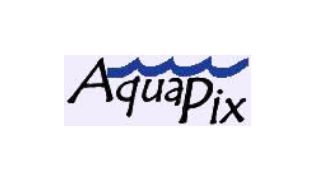 AquaPix is developing Panomares, a low-cost, autonomous underwater camera with a 360 degree rotation and on-board lighting. It will provide researchers, educators, and citizen scientists views of previously inaccessible seafloor habitats. Tallahassee, FL. OpenROV designs and builds tethered underwater drones for ocean research, exploration, and recreation. Their new vehicle, the Trident, will offer unprecedented capabilities at a cost low enough to open countless new possibilities for ocean exploration. Berkeley CA. Stuart Sandin and his team at Scripps Institution of Oceanography have spent years developing techniques for three-dimensional mapping of reefs that enables precise tracking of regional reef growth or declines, and also makes it possible to discern key ecological patterns that inform management plans. They are now working to transfer this technology to new teams in remote regions. San Diego, CA. Stone Aerospace is developing the Sunfish, an autonomous underwater vehicle capable of creating its own maps and using them to explore the most challenging environments, such as submerged caves and beneath ice sheets. Austin, TX. 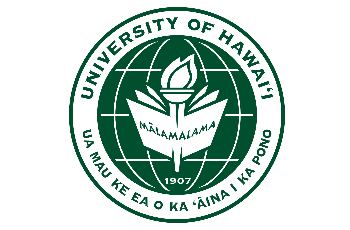 Brian Glazer, of the University of Hawaii, is building low-cost, open source sensors to measure a range of oceanographic parameters such as sea-level, temperature, conductivity, pressure, and pH. Honolulu, HI. Anna Michel, of Woods Hole Oceanographic Institution, is developing a portable low-power sensor capable of monitoring multiple dissolved gases playing key roles in climate and marine ecosystem health. Woods Hole, MA. Ambercycle is working to prevent ocean plastic pollution by reducing the manufacturing demand for virgin plastics. Their unique process allows for the extraction of PET from various feedstocks for conversion into new fabric, all while avoiding typical industrial fermentation, gasification, and depolymerization techniques. Berkeley, CA. Biocellection is using synthetic biology to tackle plastic pollution. They focus on creating the first viable option for recycling polystyrene, including Styrofoam, to produce raw materials for textiles. San Jose, CA. 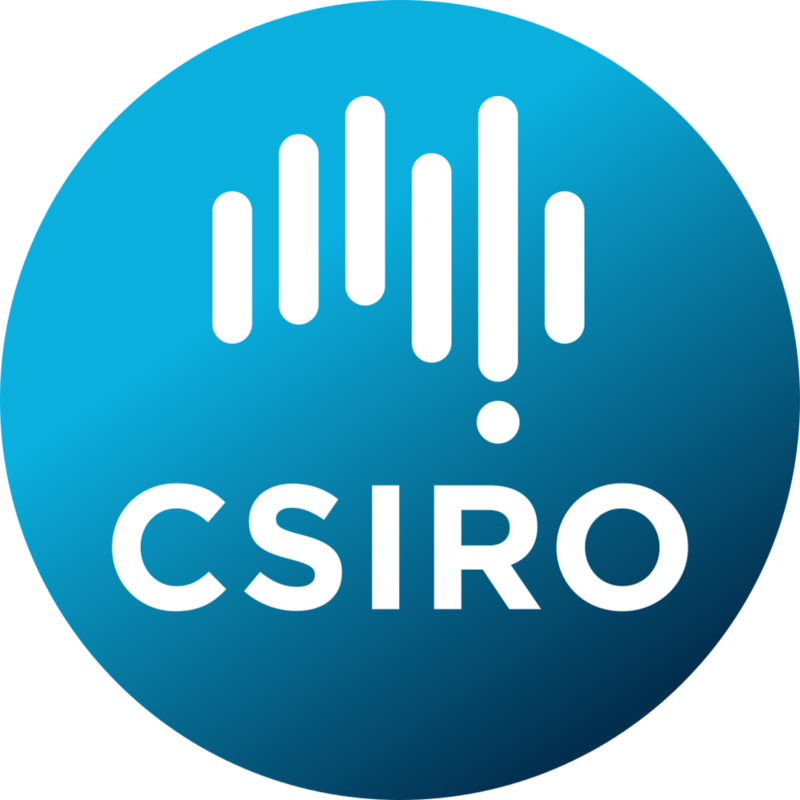 CSIRO, the Commonwealth Scientific and Industrial Research Organisation, is working to map the flow of marine plastics throughout the world using standardized, repeatable technique. The work is aimed at improved understanding of marine plastic sources and leakage. Hobart, Tasmania, Austrailia. Eureka Recycling is a non-profit dedicated to zero waste that is using Schmidt Marine funding to test and advance a novel artificial intelligence vision system developed by AMP Robotics for monitoring and sorting plastic and other waste more efficiently. Twin Cities, MN. Ethan Edson of Northeastern University, in collaboration with Mark Patterson, is building MantaRay, the first automated microplastic sensor. MantaRay will work on multiple platforms, including autonomous underwater vehicles and buoys, and will provide much needed data to illuminate a poorly understood issue in ocean pollution. Nahant, MA. The Rozalia Project is building a microfiber catcher called the Cora that can be used in washing machines to prevent microfibers from reaching the ocean. Granville, VT.